A rich textured concentrated nourishing toner that comfortably soothes the skin that lacks oil and moisture. - Smooth and rich milky toner - A formula that combines toner, serum, and emulsion. - A concentrated formula for deep hydration and nourishment. - Gives nourishment and radiance to rough, lifeless skin. 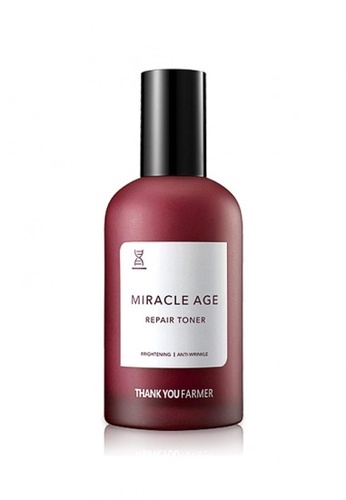 Can't find THANK YOU FARMER Miracle Age Repair Toner 150ml in your size?